The resort's famous poolside restaurant brings another classic to the spotlight – the Fiorentina. 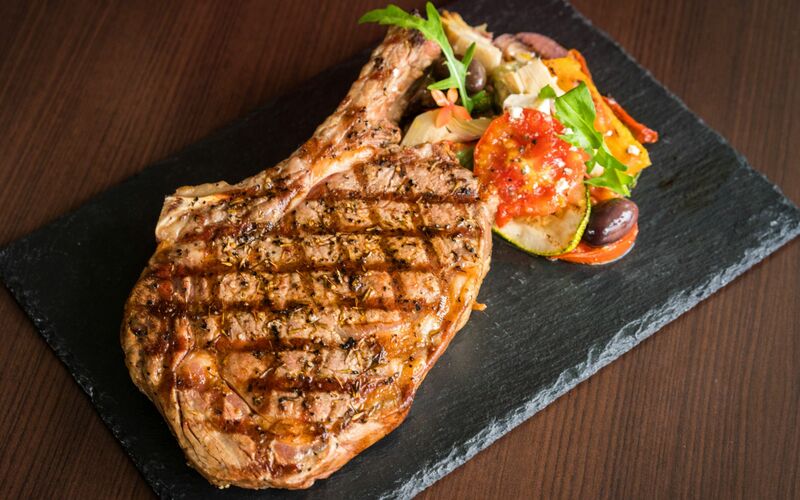 Known as Italy’s take on the Western steak, the Fiorentina features imported 600 grams grass-fed Black Angus Tomahawk beef grilled with meticulous detail. Every tender slice lets loose a fusion of flavors as it is drenched with savory spices such as Dijon mustard and star anise jus. Carefully grilled to a flawless roast, the main course with crisp French fries on the side is perfect for the meat lovers. Along with the Fiorentina, the set menu also includes a platter of refreshing Mediterranean salad and two choices of desserts. Good for two persons, it truly is a sumptuous way to steak your meals for only PHP4,015++. The Fiorentina Set Menu at Acqua is available daily, during lunch at 12 noon to 2:30 p.m., and dinner from 6:00 p.m. to 10:00 p.m.